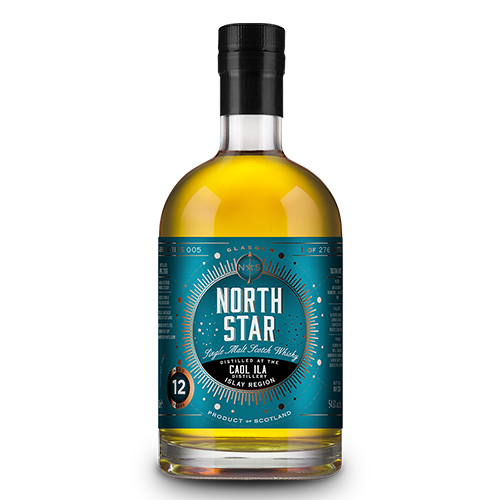 Single Malt Scotch Whisky from North Star cask series 005 - one out of 276 bottles in all. Distilled in August 2006 at the Caol Ila Distillery and bottled in May 2018 at 54.6% alc./vol. without any couloring or filtration. Matured for 12 years in a refill hogshead cask. Nose: An Oligarch´s humidor .. a big dusty one ..
Palate: A peated Sherbet Lemon. Doubled-dunted with a peated Soor Ploom. Finish: Reminds me of well-seasoned hardwood burning near a new carpet .. all subjective of course!